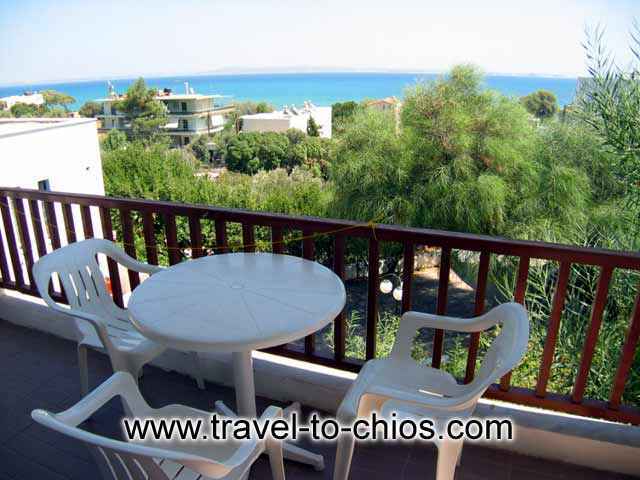 POSEIDONION is a hotel which is situated near the fantastic beach of Karfas, 6 Kilometres southern the town of Chios. 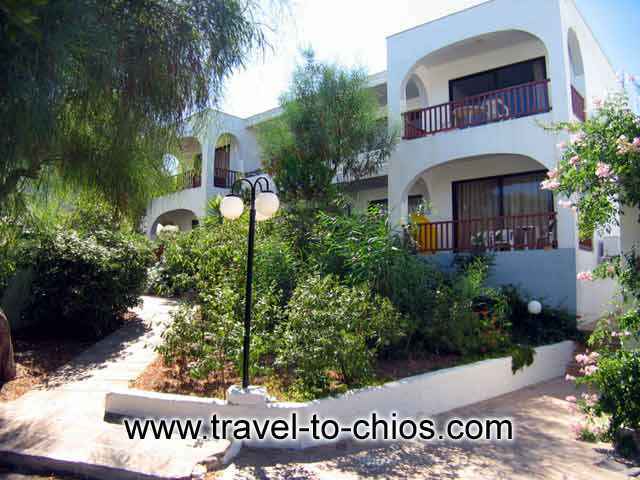 The Poseidonio Hotel, which is in fact a large set of Bungalous consists of 7 buildings with two floors. 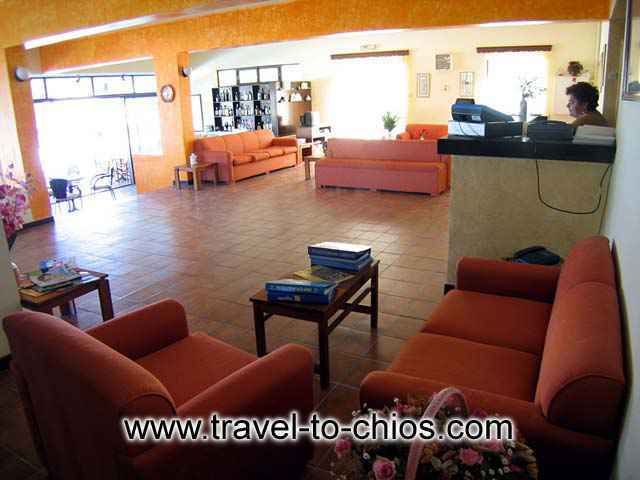 It is built in 5 acres place and all the rooms have nice verandes with a view of the sea and the mountain. This Hotel has sixty six rooms with 160 beds fully equipped with a toilet, a refrigerator, a telephone, a radio, a cassette recorder and an air condition. 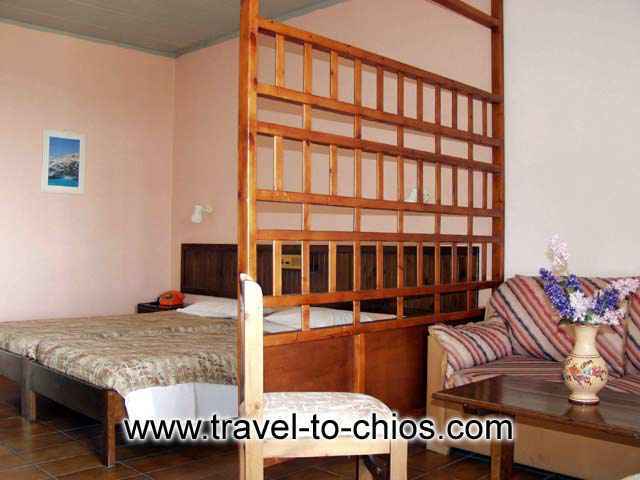 The rooms have two, three or four beds many are flats. Most of them have a multistove in it. The reception hall is in the central two-storey building. The living room is on the ground floor. 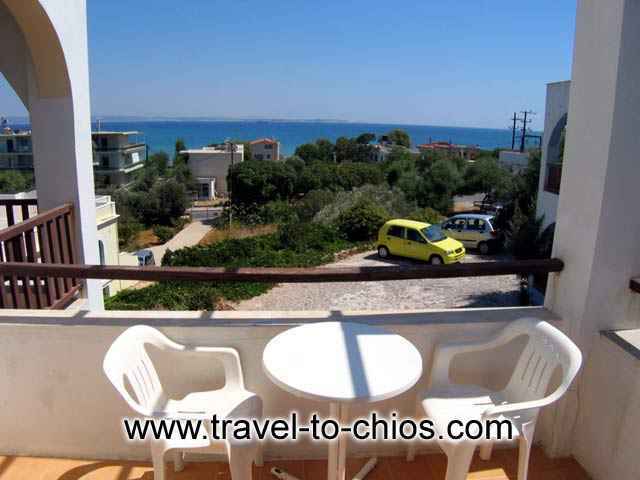 On the first floor, there is a huge veranta with a view either of the sea or of the mountain. The restaurant and the Kitchen is on the same floor. A swimming pool. - A large garden with a great variety of flowers. - A special place for the children to play. 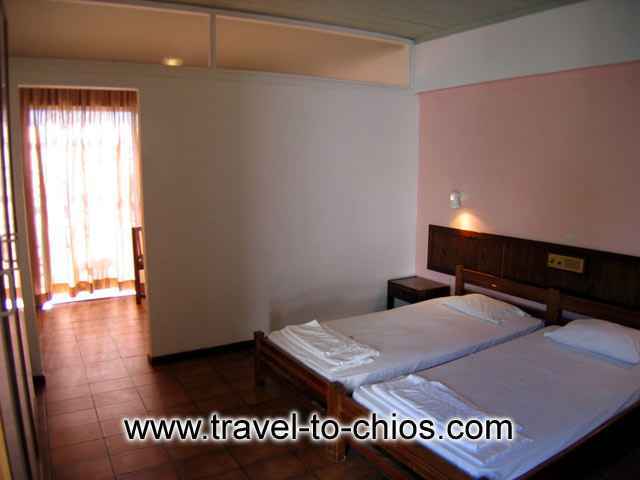 - Safety openings for each room. 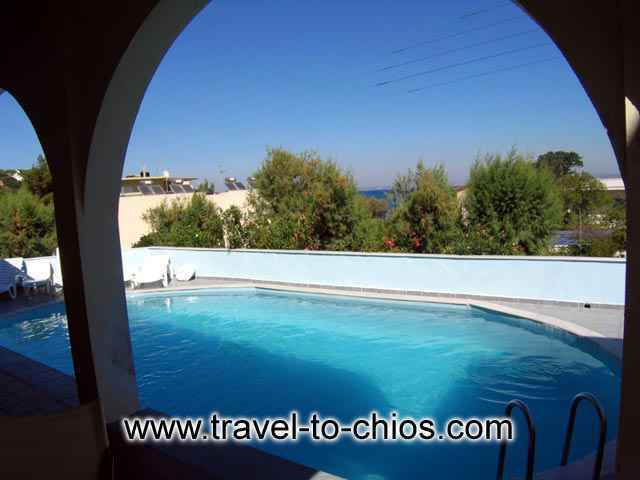 - The sea only 30 metres away. 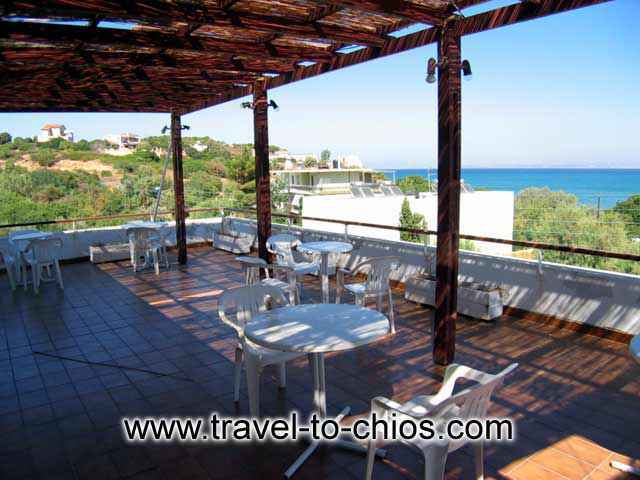 There are plenty of tavernas, cafe - bars and mini markets around.